I am Not Giving Up on Myself! I affirm who I am? ? 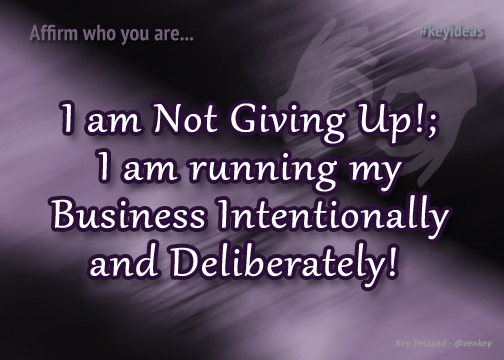 #keyideas - I am Not Giving Up; I am running my Business Intentionally and deliberately!